The new king of budget LED lights has arrived, say hello to the Yongnuo YN300. If you’re familiar with Yongnuo, you know they have been successful at releasing some high-value products as of late. The YN560-III Speedlite has been well-received by budget-conscious, enthusiast and pro photographers looking for a powerful manual flash with integrated radio receiver. 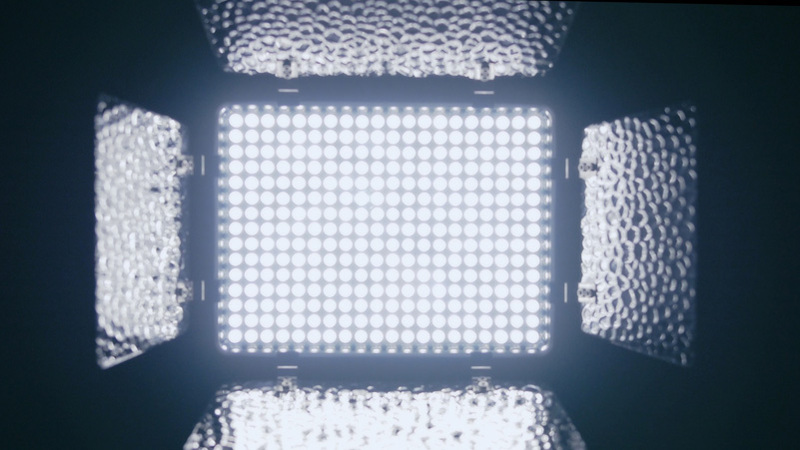 The YN300 LED light appears to share similar high-quality attributes in terms of features and construction. Compared to other budget LEDs such as the CN160 sold on Amazon and eBay, the Yongnuo’s light output seems more evenly dispersed and closer to true daylight temperature. The CRI rating also appears to be far superior to other budget lights on the market at >90%. The video below provides a quick comparison of the light output characteristics of each LED unit. The Yongnuo YN300 is currently available at Amazon for around $60. We recommend pairing it with 8500mAh NP-F970 batteries by Wasabi Power for achieving long run-times at a low cost.